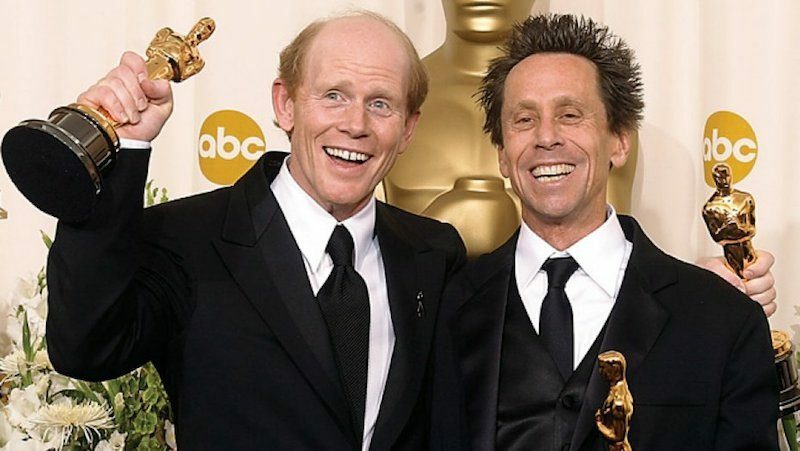 Another rumor of Apple's interest in acquiring a company involved in film and television has come to light today, with Financial Times reporting that the Cupertino company was in talks to acquire production company Imagine Entertainment, co-founded by Ron Howard and Brian Grazer. The deal is said to have gotten "serious enough" to include Apple CEO Tim Cook and senior vice president Eddy Cue, but discussions ultimately "fizzled out" for unknown reasons. Those knowledgable about the deal said that possibilities ranged from a "first look" distribution strategy granted to Apple for movies and television shows released by Imagine all the way to an investment or even an outright purchase by Apple. Imagine is a company behind a number of well-known films, including all three entries in The Da Vinci Code series, Apollo 13, and the upcoming adaptation of The Dark Tower. Some of its production in the TV space includes shows like Empire, 24, and Parenthood. According to Financial Times, Apple's current approach to original video content "has many in Hollywood scratching their heads." This approach has many in Hollywood scratching their heads. Apple’s rounds of meetings with various entertainment industry players suggest it has not yet decided what its strategy should be. The iPhone maker has been stalking Hollywood for more than a year, talking to leading industry players while it tries to formulate a cogent video strategy. It has considered a range of acquisitions and targets including, most recently, Imagine Entertainment, the Hollywood production company owned by Ron Howard and Brian Grazer, according to several people briefed on the discussions. Imagine is said to have recently faced the end of a long-term production and distribution deal with Universal Pictures, which is when Apple is believed to have considered entering into a first look deal with the company. The new Imagine rumor marks another bump in the road for Apple's trip around Hollywood, following reports that the company considered buying Time Warner last year. Later in the year, people familiar with Apple's acquisition strategy said it was "not interested" in acquiring Time Warner at the time. Today's news follows a Bloomberg report from yesterday that underscored Apple's "arrogance" in mergers and acquisitions, where it's reported to use shrewd business tactics and non-traditional strategies in its attempts to acquire new companies. These tactics work mostly for Apple's smaller acquisitions, according to some analysts, but impede its success at acquiring larger companies, although it is unclear how seriously Apple has pursued any such large targets. Update 12:50 PM: Imagine co-chairman Michael Rosenberg tells Variety, "The story is not accurate and Imagine has no further comment." I'd like to see Apple go all in and just buy Netflix. No thanks... Netflix is great as is. Apple keep out. Personally, I don't want to see "Apple's improvements".. they'll destroy it. It may actually turn off potential new business knowing that clients will be dealing with Apple. Netflix doesn't need this crap. This looks awful. This headline is great. Common too, how many times have we seen "Apple tried to buy xxxxx but talks fizzled out"? Aka, the Eddie cue syndrome. Pfft. Apple doesn't need them. Apple can develop the inevitable "All Along the Wacthband Tower" reality show about new watchbands all by themselves. wow.. I must admit.. It looks horrible.. Nobody in the general public will watch this..
Cook and Cue (C&C) have picked the lowest common denominator (a reality show). And worse, yet, decided to offer this as discriminator of AMusic, rather than ATV? WTF? Why does MacRumors harbour so many Apple consumers with this mentality... or does this entitled mentality go beyond MacRumors? I've seen this ridiculous comments here way too often that Apple should just buy their competition. Not only is this mindset arrogant and narrowminded but more importantly it's really really dangerous to consumers as it eliminates competition, innovation, choice and keeps monopolies at bay. Good god, what an embarrassing thing to say. Netflix's Market Cap is around 60b. Even if they "Are Not for Sale" Apple has the War Chest needed for a hostile take over. Since Apple's track record with content isn't as good as Netflix's they could let them run independently. Netflix would be good for another .50-.75 EPS when synergies are realized. With potential tax holidays on the horizon, I can't think of a reason not to buy netflix. Can Eddy just retire already? Thank God. Netflix is doing great stuff, just let them be. Yes, the one way to pretty much GUARANTEE exodus of all the key players & most valuable employees.